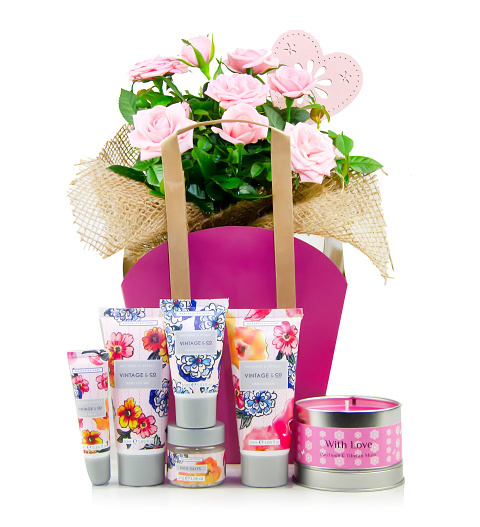 A beautiful pink rose plant is wrapped in a hessian wrap and complimented with a beautifully fragrant candle and a luxury pamper gift. All the essentials to make someone&apos;s day!. Pink Rose Plant in a pink bag with hessian wrap.